These chicken tenders only took 84 tries before they were deemed ‘perfect’ by both me and the test group of kids. Arduous? Yes. Worth it? Most definitely. I wanted a recipe that was as quick and easy to make as possible, but didn’t sacrifice on crunch and flavor. We tried a few methods; the standard three step dredge, a flour-egg-flour dredge, and even a ‘toss everything in a bag and shake it up’ method that some swear by. We also tried out various types of bread crumbs; panko, traditional and a delicious gluten free option made from crushed chickpeas. The traditional flour-egg-breadcrumb dredging method produced the best crunch and coating by far. 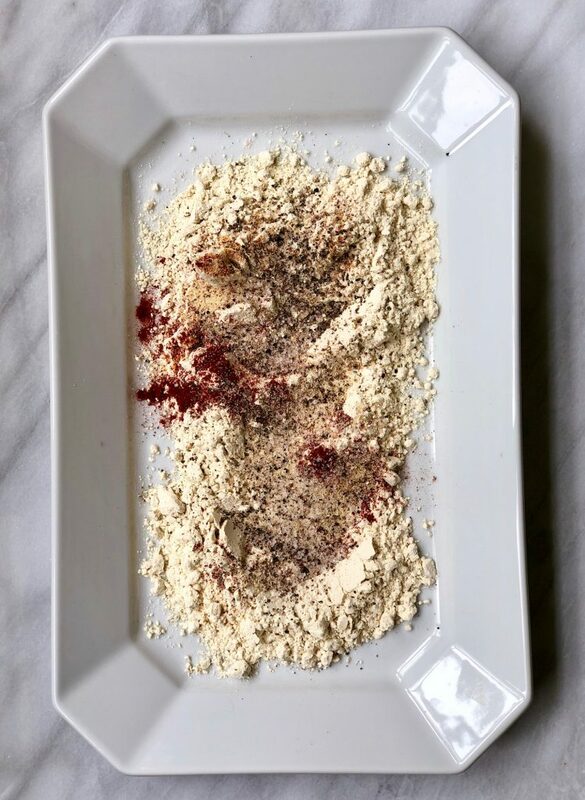 Turns out any type of breadcrumb will work here; the panko, traditional breadcrumbs and even the gluten free crushed chickpea options all worked beautifully. The real key to getting the breading to stick to the chicken was allowing the tenders 30 minutes back in the fridge before cooking. Without this step the breading was likely to separate from the chicken unless handled really delicately. 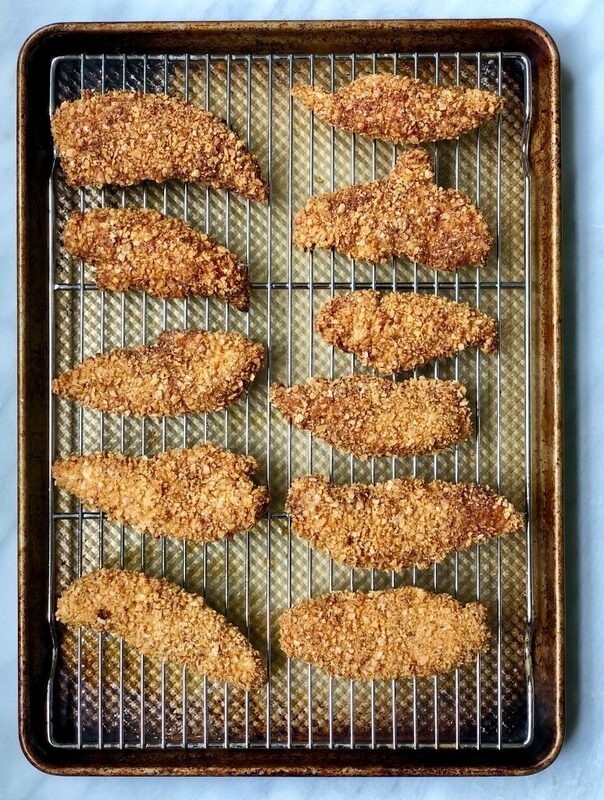 While some people maintain that you can get crunchy and delicious chicken tenders in the oven, we found the oven baked options to be overly dry and not crisp enough on the outside. It is a bit time consuming, but using a shallow pan fry with either coconut oil or ghee was by far the best cooking method. If you’re short on time you could turn the heat up just slightly to medium/medium-high, brown both sides and finish them in the oven. Or simply use two pans and cook twice as many! 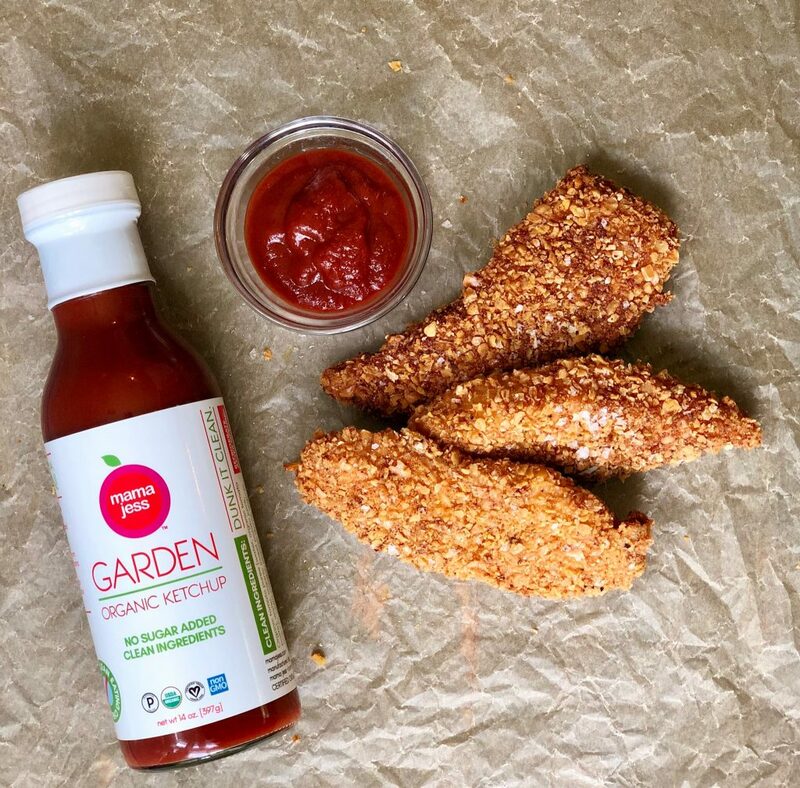 These chicken tenders are a great alternative to the store bought frozen or fast-food restaurant variety. Using the best quality chicken that you can afford, a high quality fat that won’t denature during cooking, and choosing breading options that meet your dietary needs takes this former junk-food from questionably to completely reasonable. And don’t forget to dunk in Mama Jess Organic Ketchup! 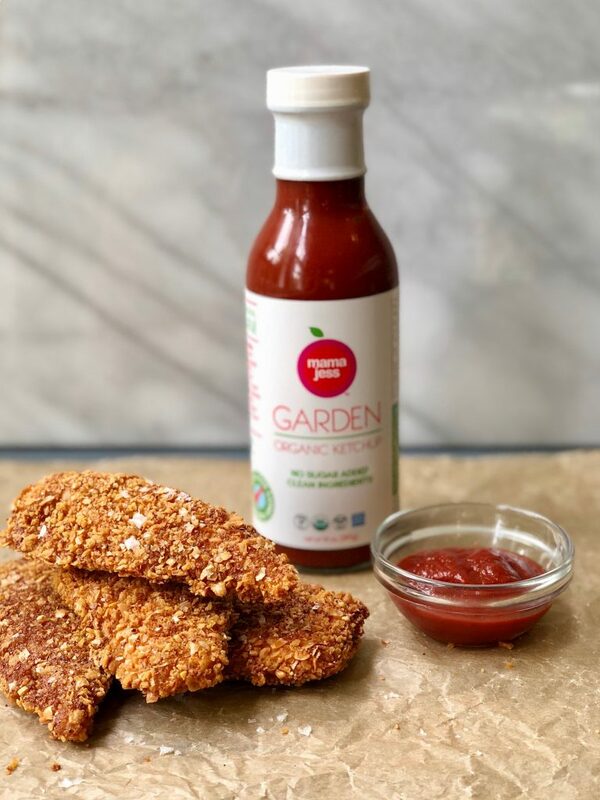 With no added sugar or preservatives and all clean ingredients, it’s the perfect condiment for your homemade tenders! In a large shallow pan, combine the flour with half of all the spices, salt and pepper and mix together well. In another large shallow pan, combine the breadcrumbs with the remaining spices, salt and pepper and mix well. 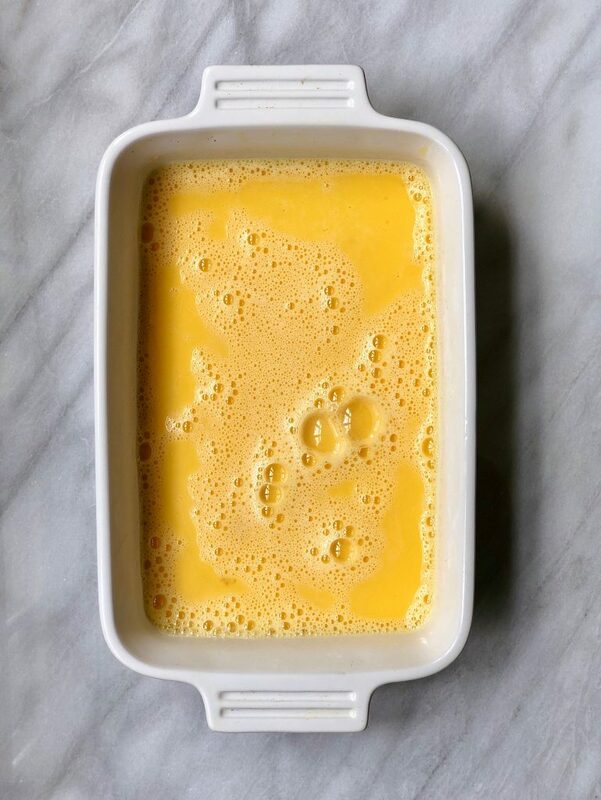 In a shallow dish with edges, whisk the eggs together with 2 tablespoons of water. Pat the chicken dry with a paper towel. Working with one piece of chicken at a time, place the chicken first in the flour mixture and flip to coat. Shake off any excess flour and place the chicken in the egg mixture. Turn to coat, and shake off any excess egg. Place the chicken in the breadcrumbs and pat gently on both sides so the breadcrumbs adhere. 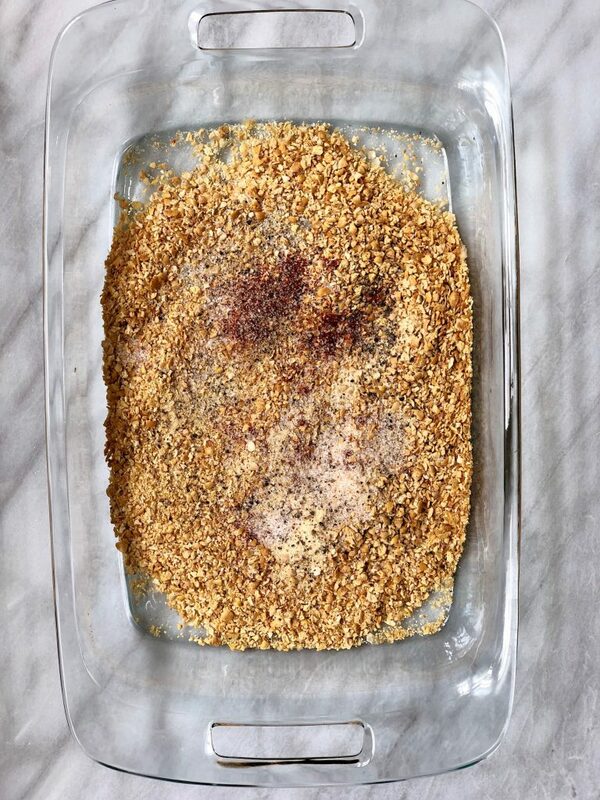 Shake off any excess breadcrumbs and lay on a parchment lined baking sheet. Repeat the process with all of the chicken tenders. Let the chicken 'rest' in the fridge for 30 minutes so that the breadcrumb coating adheres to the chicken. When the chicken has rested, heat 1/4 cup of coconut oil in a shallow frying pan over medium-low heat. Give the oil and pan about 4-6 minutes to thoroughly heat. The oil should sizzle when you put the chicken in. Fry the chicken for 2-4 minutes on each side or until golden brown. Usually chicken tenders are small enough that they can cook through on the stove top. If you are concerned about the chicken not being done, fry for two minutes on each side or until golden brown, remove to a baking sheet lined with parchment paper and bake at 350F for 5-10 minutes or until the chicken is cooked through.